Every now and then you find a performer who is criminally underrated. One who should, based on their output, be huge, filling arenas and stadiums and selling millions of albums. One, though, for whatever reason, doesn’t quite break through the glass ceiling. One who doesn’t enjoy the success of a Coldplay for instance. James Walsh, leader and song writer of Starsailor, is one of those artists. The benefit of that to those who do get an artist like James is that we become members of a club. An exclusive one at that. And one which, those who are part of, can take some pride in being in. There has always been an element of snobbery in music, the ego attached with knowing us in the minority are correct, its the millions who don’t get it who are wrong! With that also comes an exclusivity that allows access to an artiste not afforded to followers of the huge bands. Last year James Walsh announced a project, to be funded by fans, to create a new solo album, due for release at the end of May this year. A variety of options were given one of which was to attend the album launch party at the H Club in London last Friday (12th April). Which is where I found myself, along with 150 or so devotees, to hear James and his band perform the album, Tiger On The Bridge, in its entirety. I’ll not go into too much detail here about the album itself, saving that for the full review which will follow at the end of May, but what I will say is that first impressions are extremely favourable. James has always been an excellent songwriter of depth and perception which came through brilliantly in the intimacy of this gig. The songs flow, even if the guitar changes didn’t (something which James, with his self-deprecating and humbly humorous way, was at great pains to apologise for) which can only be good news for the album. James’ writing style and song make up haven’t changed greatly over the last 20 odd years, but then again why should they? He is very good at what he does and it works, and certainly did for the attendees on Friday night. He has, however, developed his sound and his lyrical content; age and experience catch up with us all both as performer and audience. James has seemingly locked in on those changes with these songs really speaking and singing to those of us all 20 or so years older now. 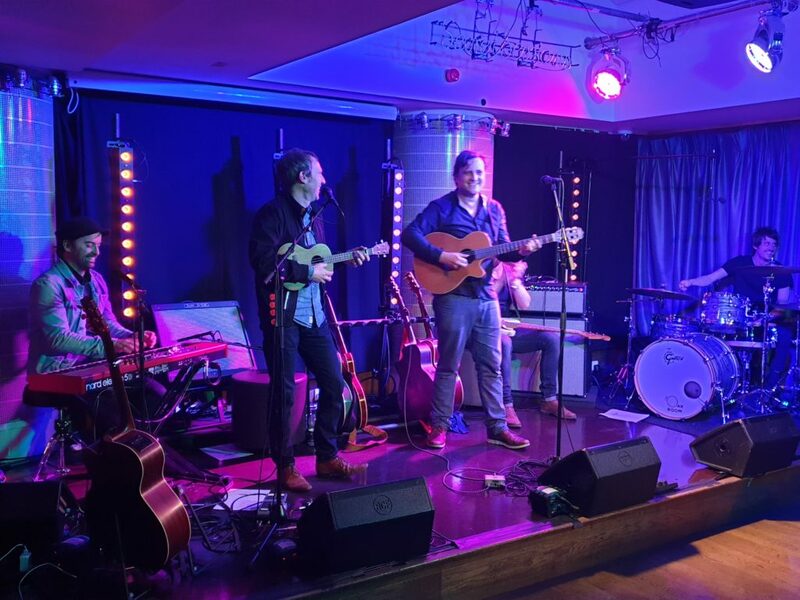 Backed by an excellent and tight band, Tiger On The Bridge, and the two Starsailor classics performed, Lullaby and Good Souls, sounded fresh and vibrant whilst retaining that James Walsh sound that those of us who love it are right to do so.